Participants rappel down the 12-story Fraser Center. Participants prepare to rappel down the 155-foot-tall Fraser Center for "Over the Edge," a charity event benefiting the FaithCentre and Interfaith Human Services. A participant rappels down the Fraser Center in downtown State College. 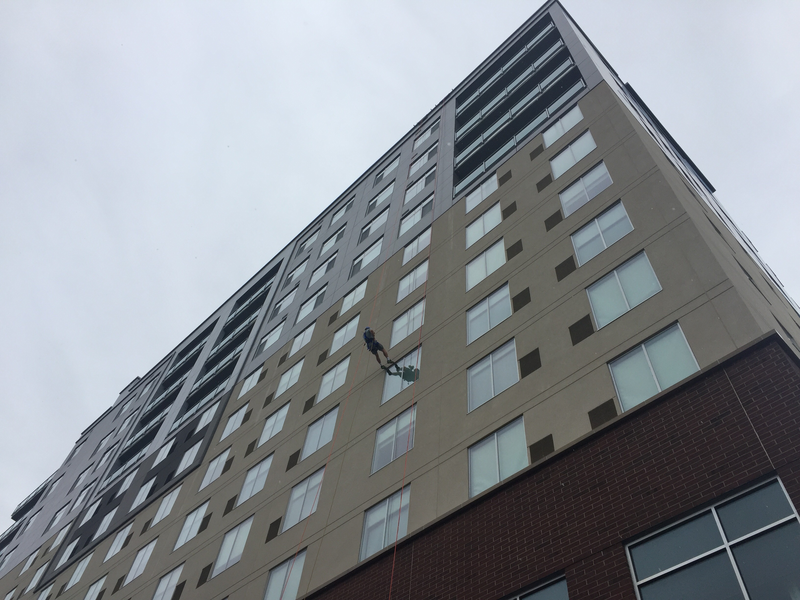 Rappelling down a 12-story building isn’t a typical way to spend a Thursday afternoon—unless it’s for a good cause. “Oh my gosh, that was crazy. Yeah, I guess I’m not as afraid of heights as I thought I was,” Wendy Vinhage said. Vinhage—now at ground level—is director of the nonprofit organization, Interfaith Human Services. 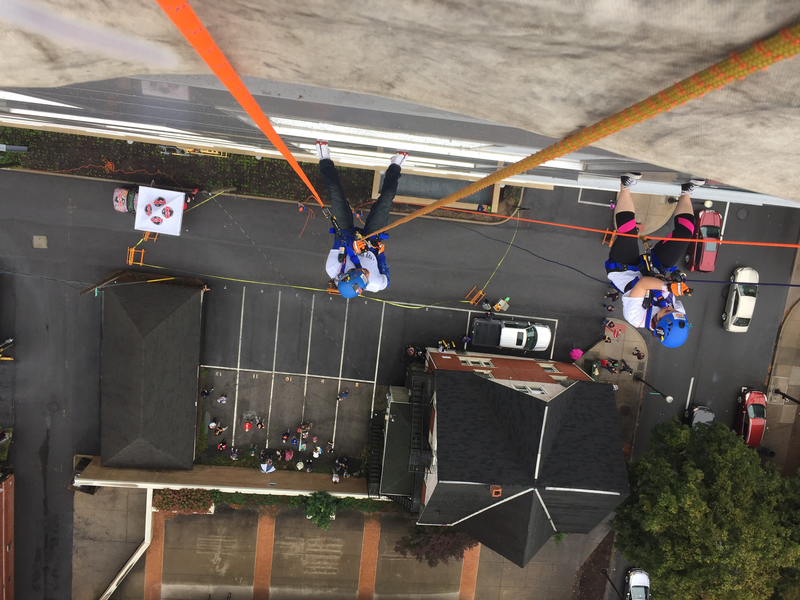 Her group, along with the FaithCentre, hosted “Over the Edge.” The event raised money for each group's mission to provide resources for Centre County residents in need. 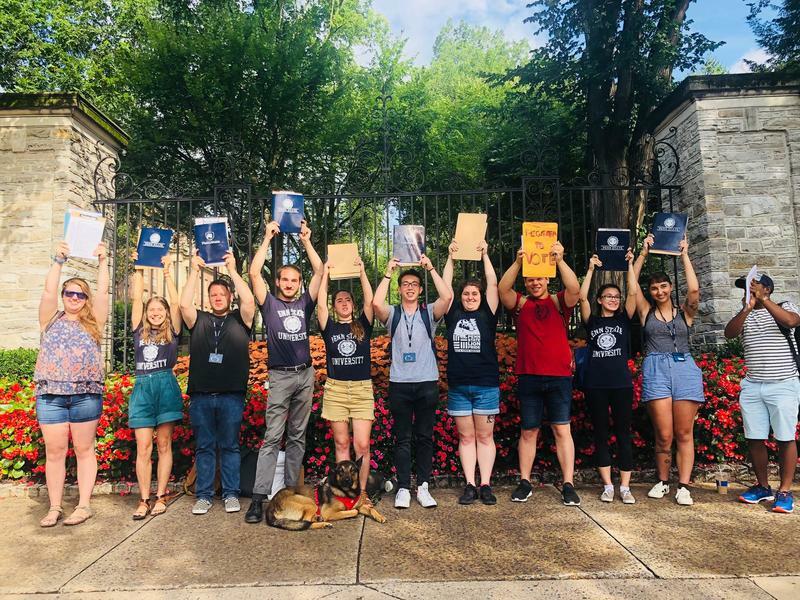 Over the Edge is a company that hosts urban rappelling fundraisers to help raise money for local nonprofits. 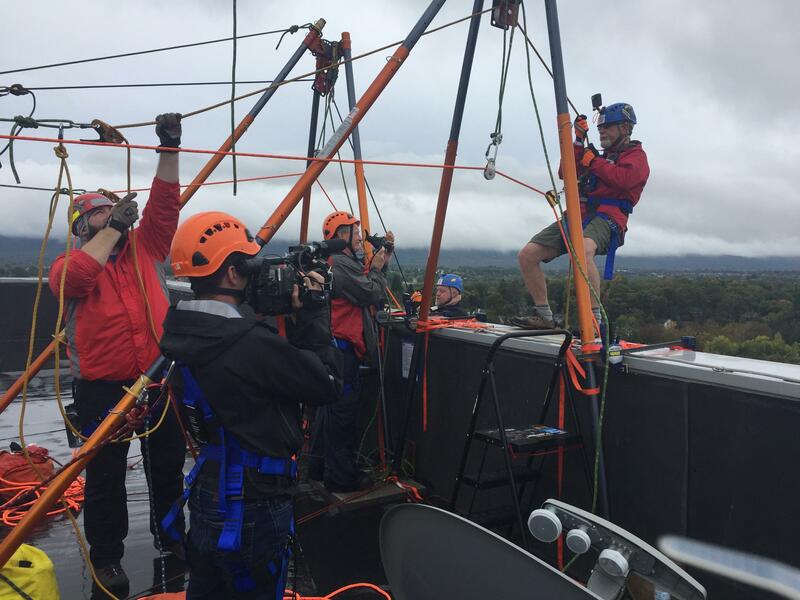 More than 70 people participated, each having raised at least $1,000 before strapping on a harness to rappel down the 155-foot tall Fraser Center in downtown State College. 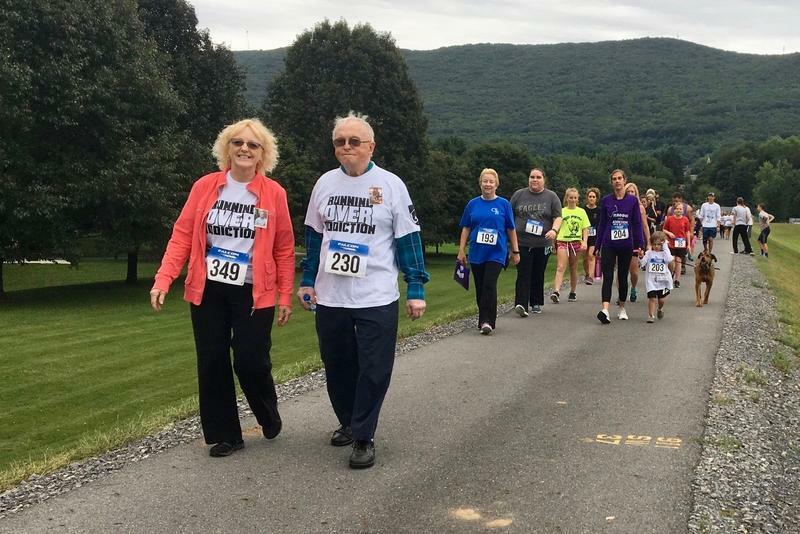 Vinhage says the Over the Edge event has never been done in Centre County, but considering the turnout, she’d like to continue it for at least a few more years.